Maximized throughput and minimized costs. Huebsch® commercial laundry equipment utilizes leading-edge technology and innovation to accelerate performance while reducing utilities and overall operating costs, helping hotels, long-term care facilities, commercial laundries and other OPL facilities get laundry done faster and within budget. 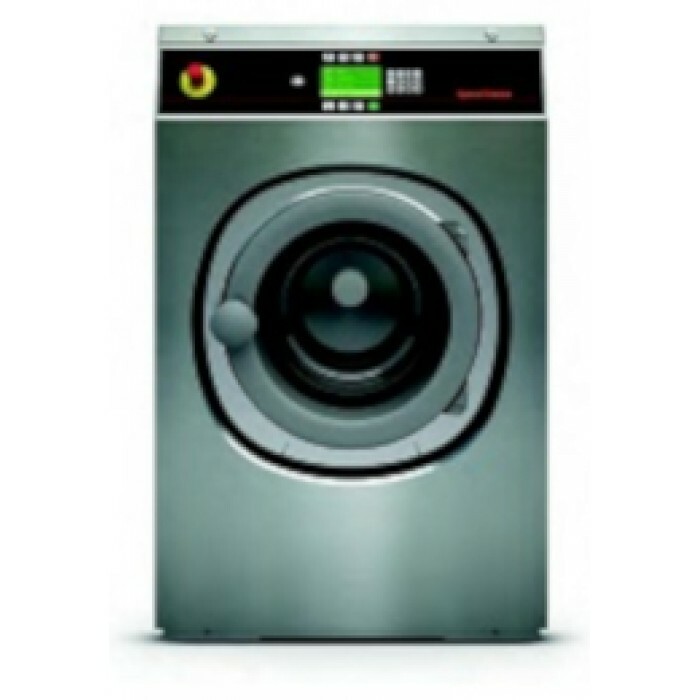 These workhorse machines are built with the optimal combination of speed, strength and efficiency, while also offering low installation costs and flexibility in your laundry design. 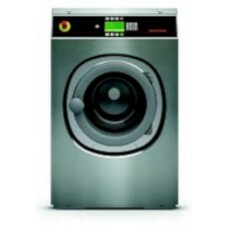 These machines are built for durability with strong, stainless steel construction. And with 350-400 G-Force and revolutionary time-saving, utility saving features, they’re designed to improve efficiency and reduce costs – delivering 15% less water consumption than previous models. Improve your laundry performance like no other with our 20, 25, 30, 40, 55, 70, 90 and 125 lb capacities. These NFPA 1851 compliant washing machines deliver immediate results without compromising the integrity of your gear. Make your laundry more productive and cost-effective. 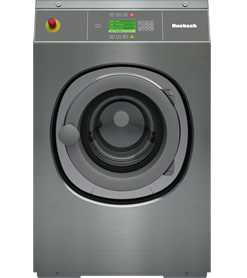 With Huebsch®, their heavy-duty washer-extractors are built for world-class reliability and performance. TG-4 4-UNIT AMBIENT AIR GEAR DRYER​ Ram Air’s TG-4 — wi..
AIR DRY LAUNDRY RACK – MOBILE Rack dries four complete sets of gear. R..
AIR DRY LAUNDRY RACK – FREESTANDING Rack dries four complete sets of gear. ..
SURPLUS GEAR STORAGE RACK – FREESTANDING Unit stores 16 sets of bunker pants and turnou..
SURPLUS GEAR STORAGE RACK – MOBIL Unit stores 16 sets of bunker pants and turnout coats..
READY RACK BENCH Provides a stable base to prepare gear and remove gear before and after a ..
TG-4H 4-UNIT AMBIENT/HEATED AIR GEAR DRYER​ Ram Air’s TG-4H wit..
TG-6 – 6-UNIT AMBIENT AIR GEAR DRYER Ram Air’s TG-6 with touchs..
TG-6H – 6-UNIT AMBIENT/HEATED AIR GEAR DRYER​ Ram Air’s TG-6H w..
4-Unit Special-Ops Gear Dryer Ram Air’s T4-IHT with touchscreen contr..
T4-IHT-B SPECIAL-OPS GEAR DECON SYSTEM BUNDLE​ Ram Air’s Spec..
RS-BSTK RINSE STATION BASE WITH ONE STICKMAN The Ram Air rinse station and stag..
RS-B RINSE STATION BASE ONLY Interchangeable with Special-Ops Dryer Stickm..
STK STICKMAN Interchangeable with Special-Ops Dryer or Rinse Stand Base For ..
BD-8 – BOOT DRYING TREE ACCESSORY​ The optional boot drying accessories c..
ADT-14 ACCESSORY DRYING TREE The ADT-14 accessory drying tree fits into a..
DECON 1 MULTI-USE DECON SPRAYER​ FOR ON-SCENE AND GEAR DECONTAMINATION Ram A..
FH-1 FLEXIBLE HOSE AND BLOWER CONNECTION Used to Attach Removable Blower to Pum..
TG-8 – 8-UNIT AMBIENT AIR GEAR DRYER Ram Air’s TG-8 w..
TG-8H – 8-UNIT AMBIENT/HEATED AIR GEAR DRYER Ram Air’s TG-8H&nb..